Véronique Willems was unanimously elected as new Secretary General of UEAPME on the 15th December 2016. She took over as from January 2017 and succeed Peter Faross, who led UEAPME over the last three years. 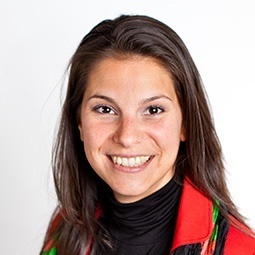 Since 2009, she was the Head of European affairs at UNIZO (UEAPME Belgian member organisation) and has been responsible for advocacy on policies affecting SMEs at EU-level. In January 2016, she was nominated deputy to the SME-representative for Belgium at the European Economic and Social Committee. Ms Willems started her career at UNIZO in 1999 as Policy Officer in charge of SME education and counselling and went on to work at the regional office (Vlaams-Brabant & Brussel) as responsible for advocacy at regional level, mentorship programs and individual counselling for entrepreneurs. Ms Willems holds a Law degree from Vrije Universiteit Brussels and a Master’s Degree in Commercial sciences / Business management from VLEKHO Brussels.